Forest & Bird is New Zealand’s biggest non-governmental organization promoting conservation of native species and their habitat. Forest and Bird was founded in 1923 and it has 70,000 members. Its role is to lobby better legislation for the environmental protection, raise awareness, organize campaigns and establish reserves/sanctuaries. Forest & Bird run campaigns and appeals such as their “Freshwater for Life Appeal” to increase the knowledge and awareness of freshwater species among the general public; this is one of their major roles. Unfortunately, they don’t have campaigns focusing on native fish specifically. However, they had advertised a talk about impacts of pest fish on natives. They also published the talk of the freshwater scientist Mike Joy called “Fight our fish”. Although Forest & Bird understand the problems of native fish, these issues don’t get much of their attention at the moment. 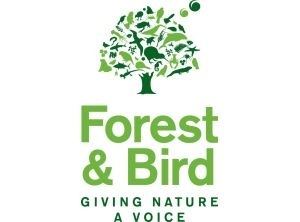 Forest & Bird lobbies the government on environmental issues. However they also work with the government and are key members of the government-backed Land and Water forum. About Forest and Bird's work with freshwater issues.